Over 100 people from the North East descended on Ballinode on Thursday 12th April to attend a networking event where McAree Engineering presented on their experience of learning and implementation of Lean tools and techniques. We, along with other attendees, were treated to a presentation from the McAree Engineering management team which focused on some of the key Lean programmes that they have undertaken over the past few years. 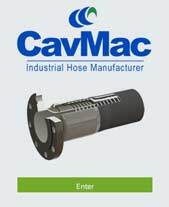 David Caraher, McAree Engineering Continuous Improvement Manager, illustrated what worked well for them and how they converted the theory into practice. 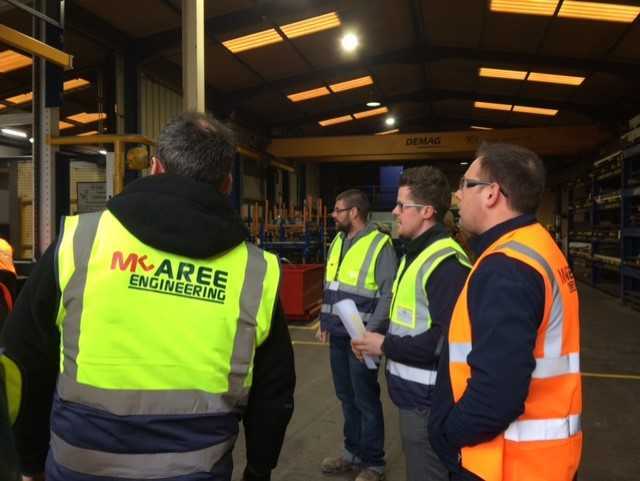 The presentation was supported by a factory tour where Abcon met some of the McAree Engineering Team and could see for ourselves some of the programmes in practice. 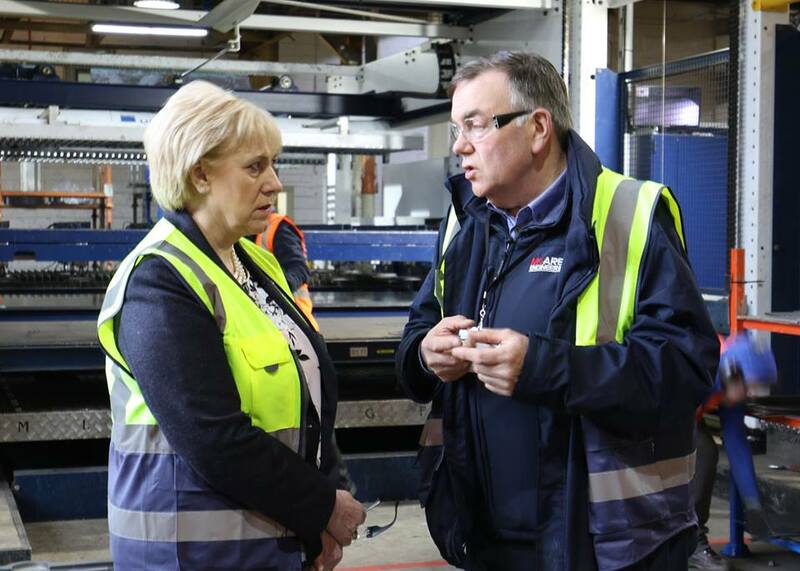 McAree Engineering has completed a number of Enterprise Ireland Support Lean programmes including LeanStart, LeanPlus and Lean Transformation and they openly shared what lessons they learnt from progressing through these programme. As Abcon also continues through the Lean journey, the tour serviced as an exceptional insight into what processes we can alter to streamline ourselves. The event was organised through the North East Lean Network which is an industry-led network supported by Enterprise Ireland, DKIT and Local Enterprise Offices. Darren Greenan from Vfecto, a leading Lean consultant, supplied expert advice to our group. The steering committee includes representatives from companies including our very own Lyn Sharkey, Silver Hill Foods, Manor Farm, Combilift, and McAree Engineering. Claire Doogan from McAree Engineering added “we were delighted to use this opportunity to share our experience from the variety of Lean Programmes we have completed. We have done a lot of things, some have worked, and some haven’t. We have dedicated resources to these programmes, and it is fair to say that they have transformed our business and we are continuing to use what we learnt as the business moves forward”. Any company who is interested in joining the network can do so by contacting them via LinkedIn.